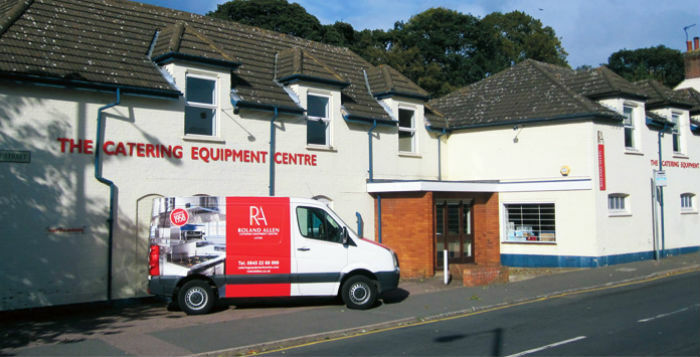 We have experienced personnel who are totally at home in a kitchen and familiar with the problems of matching the catering equipment to specific needs and at the right price too. Our knowledge of health and hygiene regulations, coupled with our fully qualified engineers providing installation and after sales service and commissioning duties, provides you, the customer, with support and assurance at all times. Our conveniently situated premises in Luton have comprehensive administration, workshop and warehouse facilities and they are further enhanced by our extensive showroom areas, with ample parking for our visitors. These features set us apart from many of our competitors, giving you the ability to access a particular piece of equipment, tableware or utensils and evaluate the quality prior to purchase. Our friendly sales team have a thorough knowledge and are kept up-to-date with current trends. We represent the major national and international manufacturers in equipment, tableware and utensils, as well as being able to fabricate in stainless steel to your specification, giving a truly comprehensive source designed for today’s caterer. Our sister website Catering Equipment Centre has over 10,000 products available across a variety of ranges including dining, tabletop, appliances, kitchen utensils and chefswear.